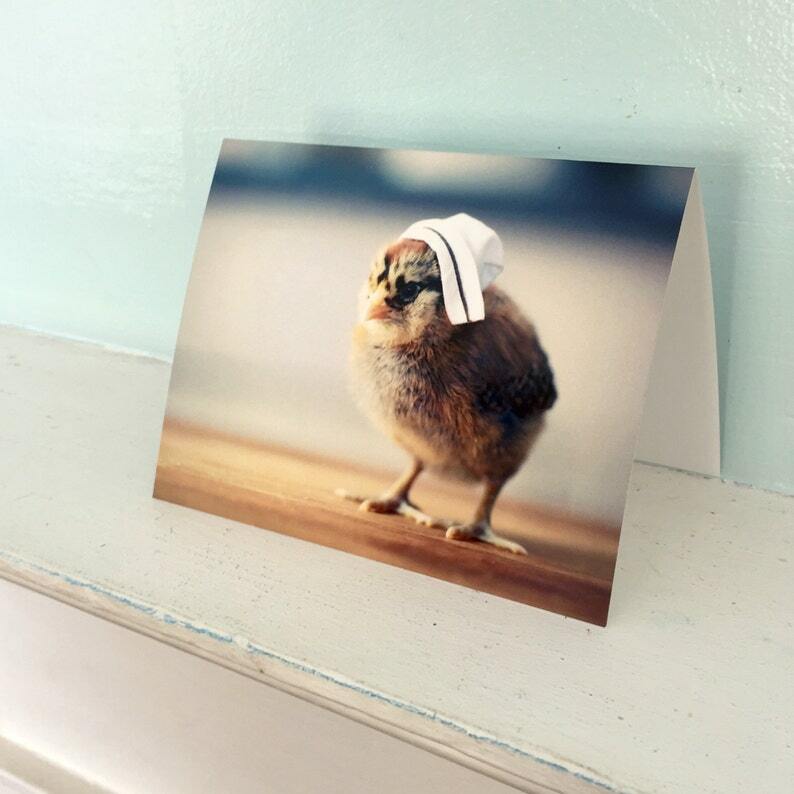 Chicks in Hats folded note card, with the image of a chick wearing a tiny nursing cap. Love these cards. This is already on its way, hopefully good for a laugh. Thank you.